Back in 2011, these same Republicans fought for deep cuts to spending to be attached to any hike in the debt limit. The fight started as something called “Cut, Cap and Balance” and resulted in a sequester of cuts to discretionary programs. 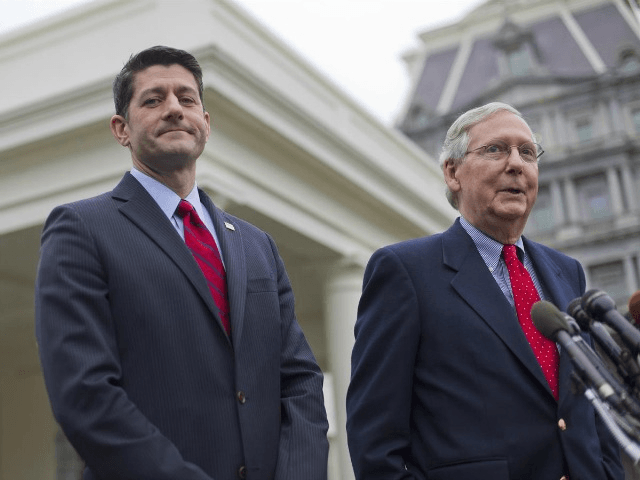 Yet now, when Republicans have a power, they seem reluctant to use the majorities they have in the House and Senate to fight out of control government spending. Much like many voters feel lied to by the empty Republican promise of “Obamacare repeal,” we are now seeing the same scenario play out on a debt limit hike. Republicans were willing to fight when they were largely out of power in 2011, but not now that they have control of the House, Senate, and White House, they are not willing to fight. Reuters reported a few months ago that Rep. Mark Meadows, the Chairman of the House Freedom Caucus, has pledged to push for reforms and cuts as part of any bill to hike the debt limit. On March 16, 2012, Sens. Jim DeMint (R-SC), Rand Paul (R-KY), Mike Lee (R-UT), Ron Johnson (R-WI), and Marco Rubio (R-FL) co-authored an Op-Ed for Politico where they argued “we called on Congress to cut unnecessary, and unconstitutional, spending immediately, cap future spending in line with average historical revenues and send a balanced budget constitutional amendment to the states for ratification. As Congress begins a new budget season, we stand by that call.” Those Senators can team up with the House Freedom Caucus to lead the fight on using the debt limit for spending reforms. Sen. Jim DeMint has started a new organization, the Conservative Partnership Institute (CPI), and can help from the outside to push a new Cut, Cap, and Balance bill.